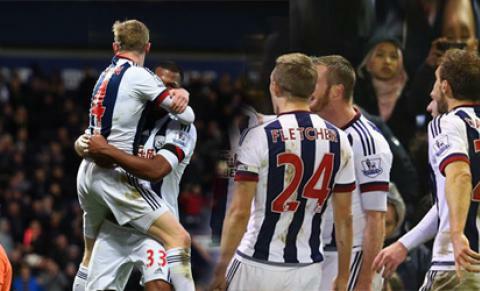 You won’t believe your ears when you hear the Hawthorns rocking in support of the Baggies. The West Brom fans never leave you in any doubt about their loyalties in the fierce west Midlands rivalries with Birmingham City and Aston Villa. Take your place with your fellow Albion fans and raise the temperature as the players seek victory. Play your part in the Premier League story as one of English football’s oldest clubs roll back the years with the spirit of youth. West Bromwich Albion were one of the twelve founder members of the Football League in 1888. That was the year the club reached its third FA Cup final and won the trophy for the first time, beating Preston in the final. The Baggies have subsequently won the cup four more times, beating neighbours Aston Villa and Birmingham City in those finals. Crowned league champions in 1919 – 20, they created records at the time by scoring 104 goals and 60 points in the days of 2 points for a win. 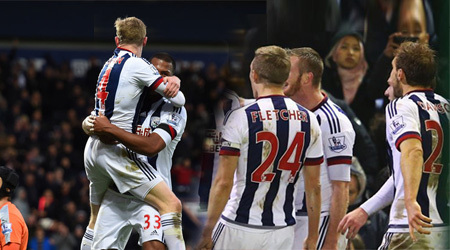 Since then Albion have flitted between the top two divisions with spells when they flirted with title challenges. In the mid-1950s, their brand of attacking football saw them christened “Team of the Century”. Thirty years later under Ron Atkinson’s stewardship, they would once again bring a stylish brand of football to the English game, finishing third in 1978 – 79. The side was built around the talents of Cyrille Regis, Laurie Cunningham, Brendan Batson, Tony Brown and John Wylie. Perhaps their finest hour came at Old Trafford when they took Manchester United apart in a 5 – 3 victory. Albion haven’t risen to those heights again, becoming a solid mid-table Premier League outfit. And that suits them down to the ground. Tony Brown spent 19 years at West Bromwich Albion, joining them as an apprentice in 1961. Known affectionately as ‘Bomber’, he made his name as a wing half / inside forward during the 1960s when he was picked for the England squad. He won his only cap in 1971 against Wales at Wembley. Brown is the only West Brom player to score a hat-trick in European competition, grabbing three against DOS Utrecht. 15th May 2005, The Hawthorns. West Bromwich Albion had been bottom of the table for most of the season and were bottom at Christmas. No club in that position had survived. Albion pulled themselves into contention to stay up as the season wore on but as the final day of the season arrived, they were bottom once more. They faced Portsmouth and despite winning 2 – 0, between 4.30 and 4.41pm, they were in the relegation spots. Twelve minutes later, 28,000 Albion fans inside the Hawthorns unleashed unbridled joy as Charlton Athletic equalised at Crystal Palace to send the Eagles not Albion into the Championship. Select your West Brom fixtures from our events table above or our match menu. You can buy West Brom home tickets or West Brom away tickets. In the review your order page you will be able to review West Brom football tickets 2016-17 that you have ordered and the total price you will be paying in the next stage if you have been given a coupon or discount code, enter this in the box and click “apply”. The final West Brom ticket prices will be calculated and then click “Proceed to payment”. There are no hidden fees or costs and the total price you see is what you will pay for West Brom tickets. After payment is successfully processed you will be redirected back to our site and you will receive a confirmation message. An email with your West Bromwich Albion Football Club tickets order details will be sent to the email address you have provided during your registration.